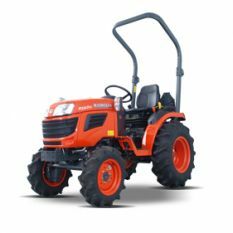 16HP compact tractor equipped with rear and mid PTO to power Kubota’s 48″ side discharge mid mounted mower. 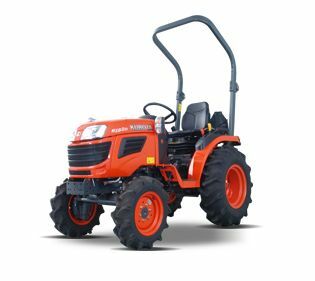 The hydraulic 3 point linkage has a lift capacity of 540 kgs, and a hydraulic changeover valve is standard. Optional extras include an EC approved rear mounted ROPS kit, back mirror kit, rear work light kit, front hitch kit and beacon lamp switch kit.